This black wooden trinket box is the perfect place to safeguard all of your treasures! With a hidden latching mechanism for secret access, only you will know how to get to the treasures stored within. 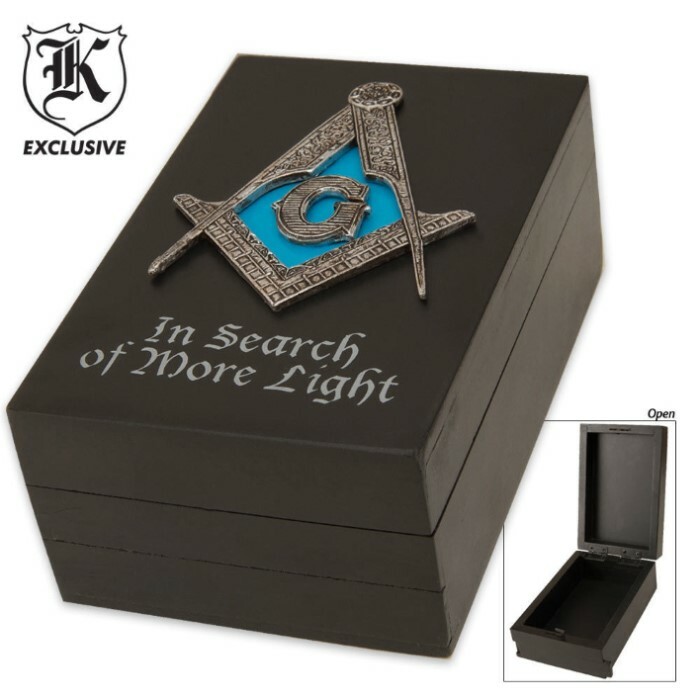 The top of the box features a poly resin Masonic emblem and bears the words "In Search of More Light." Measures approximately 5 3/4 in. x 33/4 in. x 2 1/2 in. overall.